The city of Lakewood sued the Washington State Department of Transportation in 2013 seeking to halt the project, arguing it had not undergone sufficient environmental review. The city lost its case in part because the law preempts cities and towns from regulating rail lines. 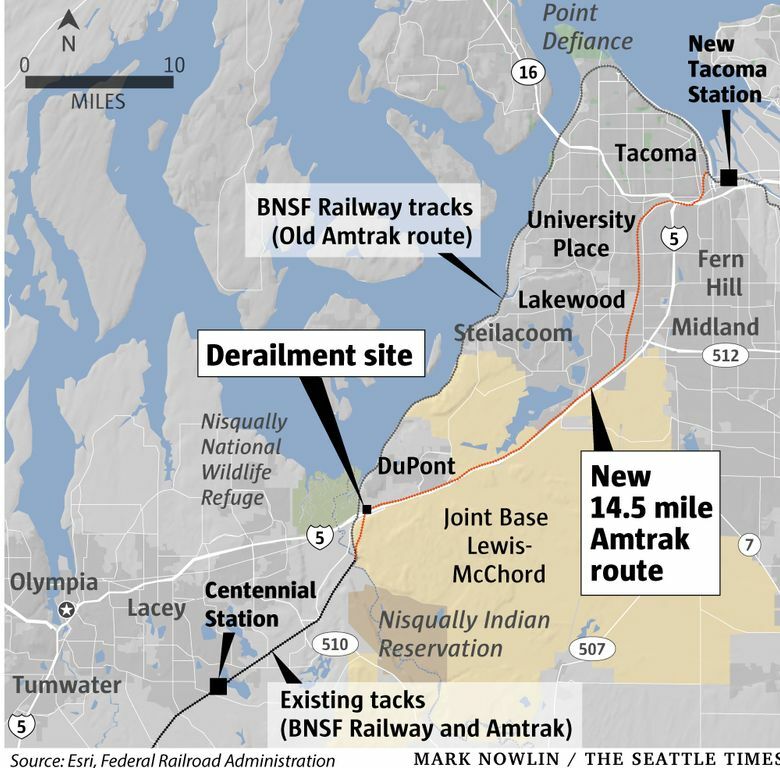 Well before Monday’s Amtrak derailment, a Pierce County mayor had raised safety concerns and recently predicted that the new higher-speed rail spur would lead to fatal accidents. Lakewood Mayor Don Anderson said his city had fought against the new rail line, which moved fast passenger trains onto what had been a less-used freight line. 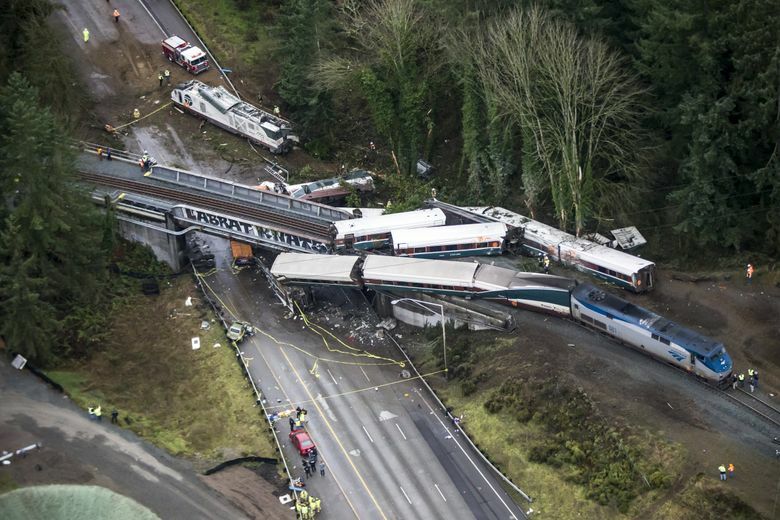 The cause of Monday’s accident is not yet clear and is under investigation by the National Transportation Safety Board. 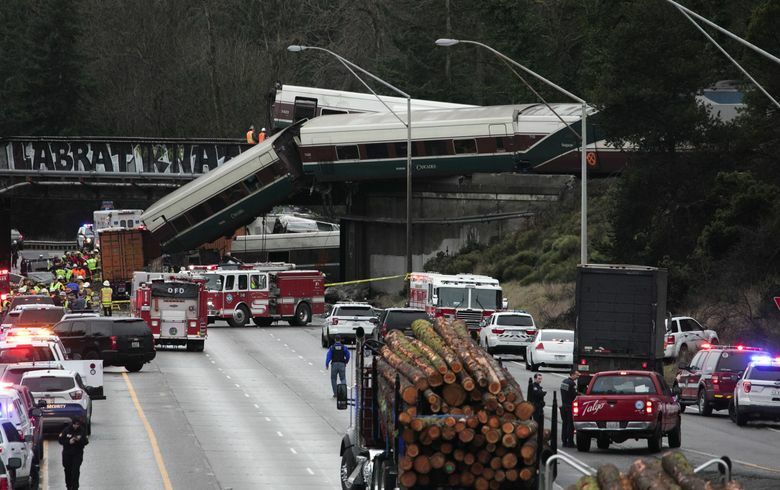 Lakewood is about eight miles northeast of DuPont, where the southbound Amtrak train derailed off a bridge onto Interstate 5, killing at least six people, The Associated Press reported. While the accident did not occur in his town, Anderson noted that Lakewood officials had long opposed the rerouting of the Amtrak trains to the new bypass route. The city sued the Washington State Department of Transportation in 2013 seeking to halt the project, arguing that it had not undergone sufficient environmental review. The lawsuit was dismissed on a summary judgment motion in 2014. Anderson said the city lost its case in part because the law preempts cities and towns from regulating rail lines. Anderson said he also viewed the project, which received money from the 2009 federal stimulus package, as a waste of taxpayer money because the rail line doesn’t carry what he views as a significant number of travelers. Lakewood pressed for additional money for safety projects along the new line, he said, and received some concessions for crossing improvements and fencing. Anderson said a brand-new high-speed rail project would not have allowed so many at-grade crossings in a suburban setting — they’d instead have been moved to tunnels or overpasses — but that the Amtrak spur was grandfathered out of some of those requirements because it runs along an existing line. “There is a reason the word ‘railroaded’ is in our vocabulary. They wrote the rules,” he said.